Thursday night was wing night with some coworkers. We had been planning this for a while so sick or not I was determined to go, and I’m glad I did! I love wings! 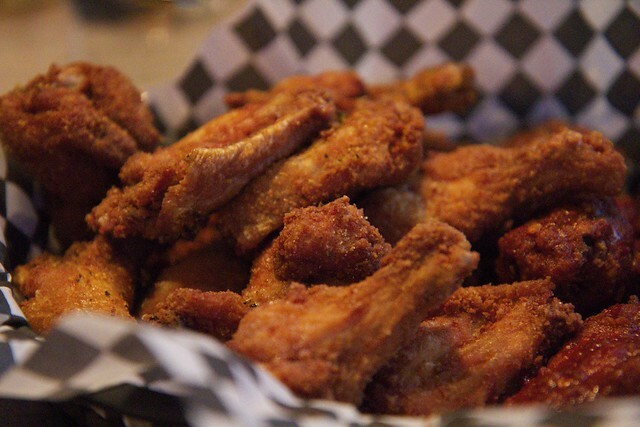 They’re my favourite food and Smitty’s does them really well especially on their wing night when it’s only 44cents! This time we tried their frickles (deep fried pickles). I had tried some before at a different restaurant so I was surprised when they came out in wedges! The first time I tried them, they were pretty unimpressive, but I really enjoyed these ones. The breading was really light and because they were in wedges the pickles were super juicy! Yum! This entry was posted on February 27, 2012 by debbe. It was filed under 365, Food and was tagged with frickles, smitty's, smitty's wings, wings. 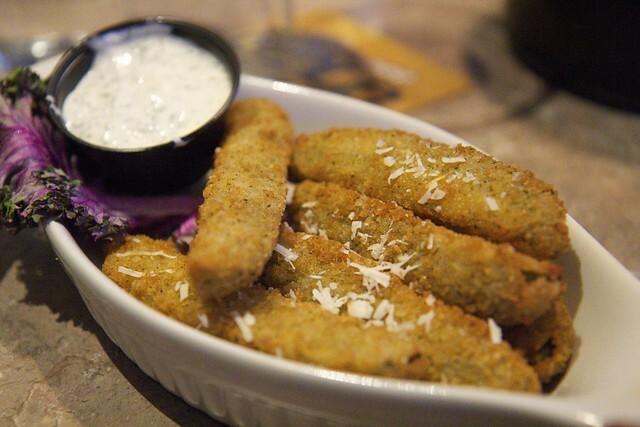 The fried pickles sound way better than the ones we had in Grand Forks!